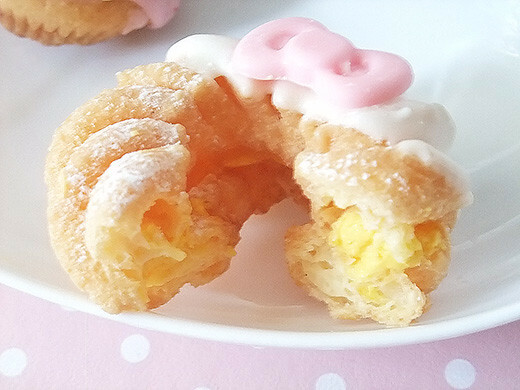 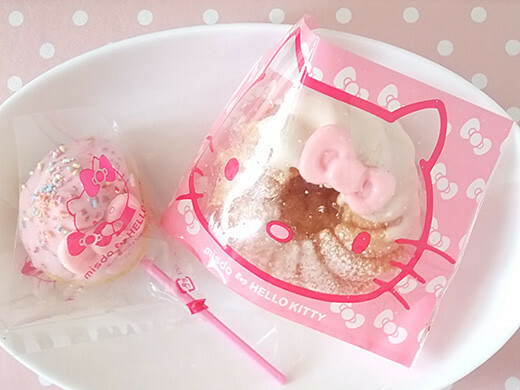 mister donut (misdo) collaborate with Hello Kitty, some of donuts wears Hello Kitty’s cute iconic ribbons. 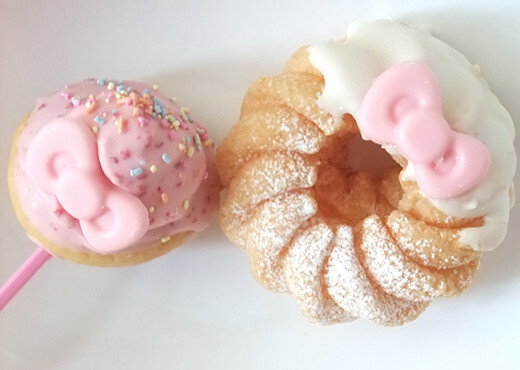 I got a strawberry cupcake and an orange cream filled french cruller. 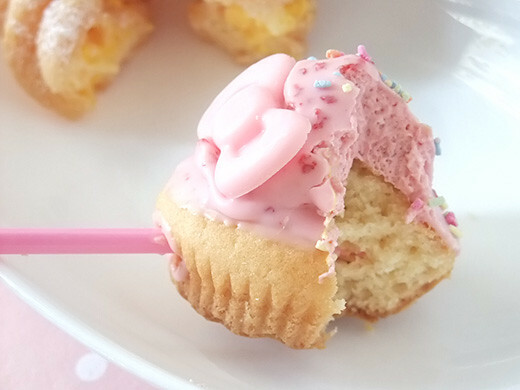 Strawberry cupcake is like a cake pop style. 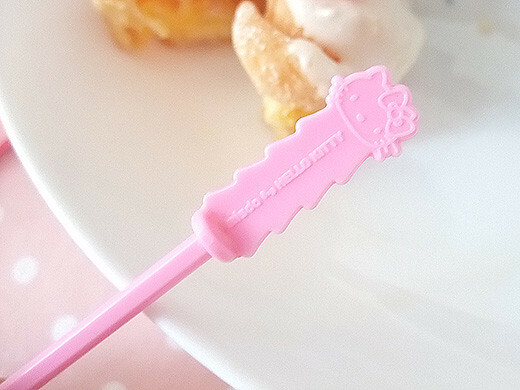 It was surprise and fun when I found Hello Kitty mold on the stick!